We had another great Advanced Class with 5 students, starting out on the Var 37 from Norwalk to Mystic, where we then switched to the Hanse 400 for the rest of the class. Wim and I put a huge amount of effort and experience into making this course interesting, challenging and very worthwhile. A beautiful sunset as we work our way up the coast of NE. The hot summer days have not been pleasant inland, but if out on water, you can be very comfortable. In the evenings, you should find a spot to the leeward of the Long Island Sound or relevant body of water. 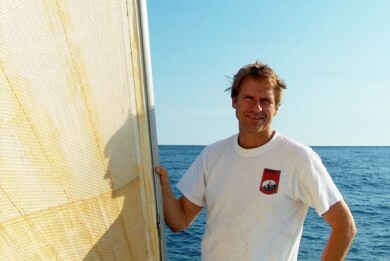 Locally, if a SW breeze, as we typically get, anchoring or picking up a mooring off the Thimbles, Charles Island off Milford, or amongst the Norwalk Islands is the most pleasant spot to spend the night, with much cooler temps than if you are in a Long Island harbor or, heaven forbid, up the CT river where you are downwind of a large hot land mass! Looking to go sailing Labor Day weekend, with cooler temps and less humidity on the way after the cold front passage thursday evening? 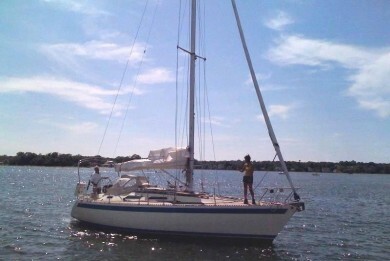 We have several yachts available for member use, including the fast and comfortable VAr 37 which is currently in Mystic. 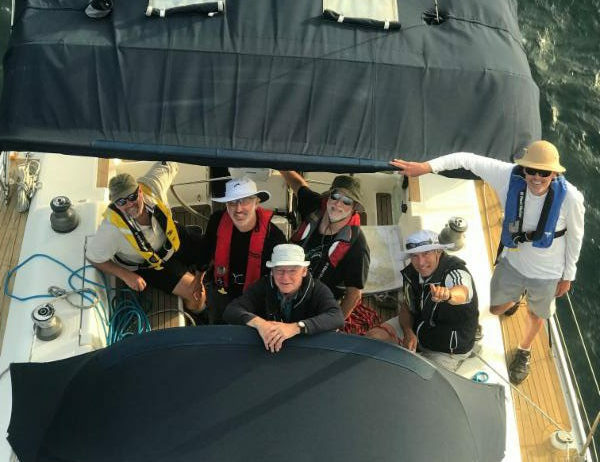 Several other yachts are also available for shorter sails, including the Pearson 37 on sunday and monday, and the Bristol 27.7 for the whole weekend. Although there is still a small (30%) chance of showers for Sat/Sun, with high pressure moving in from Canada, we expect a very pleasant weekend. We are currently looking at another C&C 32 to replace the CS 30. 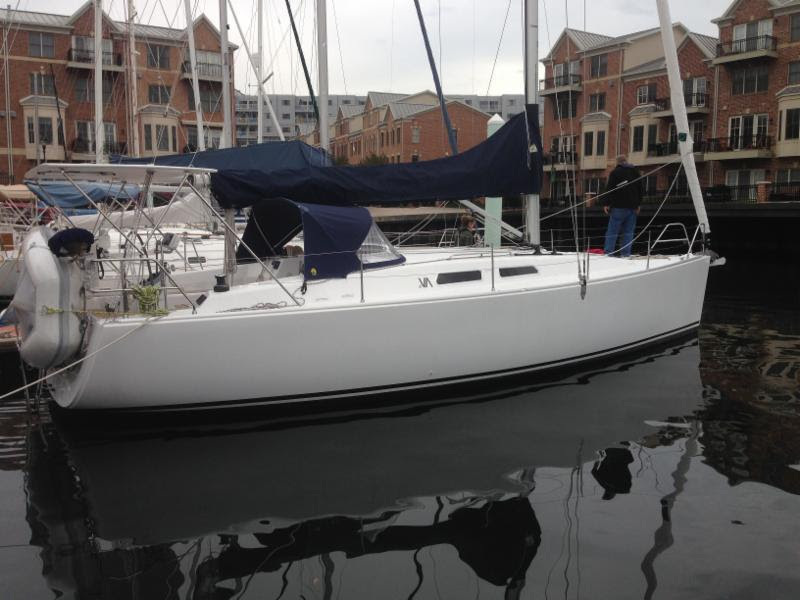 We recently did over 8 hours of work on the Mystic C&C 32 early this week and she is in great shape. The laminate headsail for the CS 30 has been repaired, and we will put it back on for this weekend. The Contest has a new 3 blade prop, and the Sweden is getting LED running lights this week and a few other upgrades. The Var 37 is getting a new steering wheel, slightly smaller so you should be able to walk around it. The wheel was bent after a collision with some rocks in Fishers Island Sound. 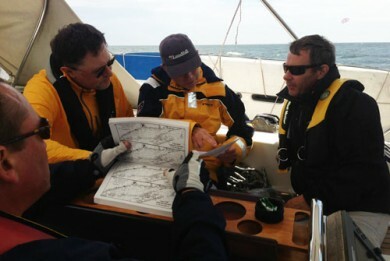 Charting courses in advance in unfamiliar waters is not optional!! Fortunately, the VAr 37 was structurally fine. The Hanse 400 is being used till next Sunday by members. We are looking for member feedback on which 40 class yacht, the Var 37 (better for daysailing) or Hanse 400 (larger more luxurious interior) comes back to Norwalk for the next 2 months. Please email us your requests. If needed, we can help transport you up to Mystic so you can enjoy a one way trip back to Norwalk. The 23′ Sonar is also in the water, and we will be rigging her for this weekend! 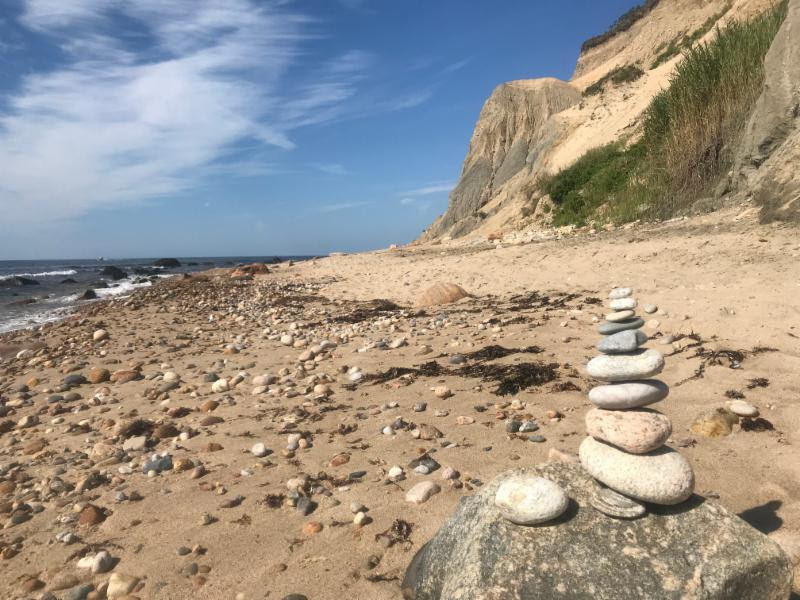 Block Island has always been one of our favorite places! Colette and Martin took the kids for 5 days on the C&C 32, with a friend joining us for two days in Block. I continue to be so impressed with the C&C 32. Given the length she has a reasonable interior and she is an absolute delight to sail, with a very well balanced and light helm. Besides 3 kids we also brought 1 two-person rigid kayak, 3 inflatable kayaks, 1 surfboard and 4 boogie boards along with enough food to eat on board every night. Probably the most amazing think to me is that the five 2.5 gallon water bottles I had frozen before we headed down still had ice in them for the trip back! Block was great as always, and the 4′ draft of the C&C allowed us to anchor with lots of room close to Dingy Beach, just south of Harris Point. This is, to my mind, the best spot to anchor in Block Island Harbor. It’s a short row row to Dingy beach and then a 5 min walk to town, and you are far enough away from the nightlife that turning in early is an option. Of course, a shoal draft boat like the C&C or Contest 36 is essential. 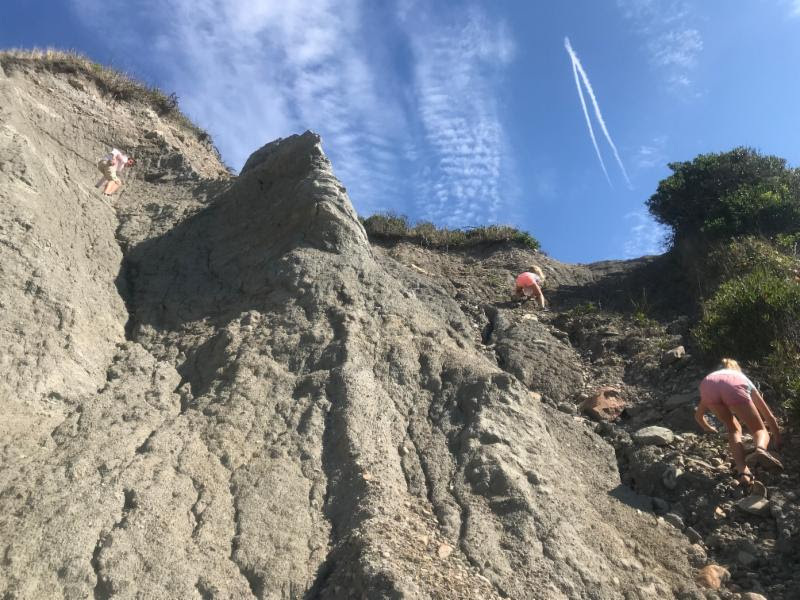 Exploring the cliffs just west of Monhegan Bluffs! September 13-16 Newport Boat Show. – A New England classic. We are taking a break from this show this year, but will be back next year. 60% power, 40% sail. Pretty good show for equipment and higher end sailboats. September 20-23 Norwalk Boat Show. – 90% power show. Members and students have to pay to park, but parking close to the SSC docks and Sunset Grill is possible. September 24-26 (evenings) Sept 28-30. – Basic Cruising Classes! 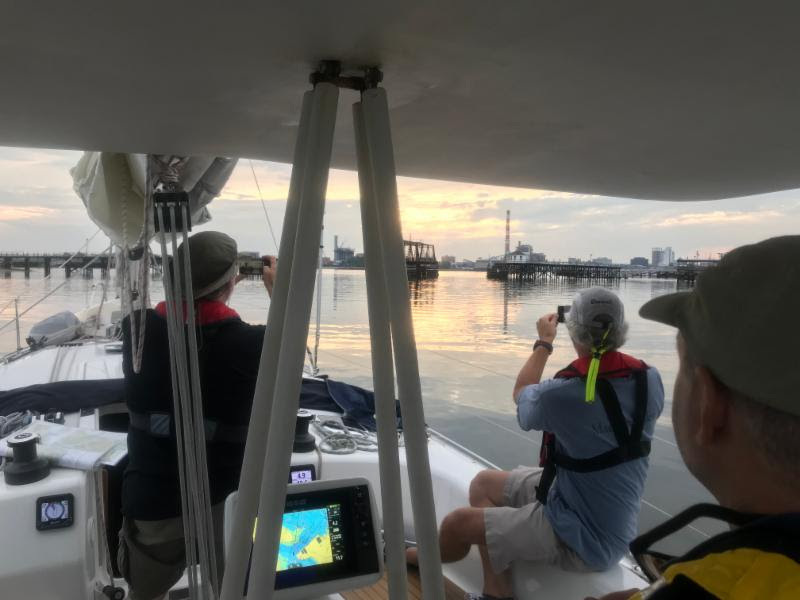 Our third (and probably last Basic Cruising Class will run with 2 evening sessions on Sept 24th and 26th, and an overnight cruising starting 9 am Friday Sept 28th for 2 days. Oct 4-8. – Annapolis Boat Show – Columbus Day weekend The largest all sail show by far, this is also our favorite show and a must see for all serious sailors. SSC and Dutchman will be there in our usual space, 15A. Oct 20-30 – Big Boats out of Service. Come late Oct we start pulling the larger yachts out of Service. The Ensigns stay in service year round. Our 22nd passage south! On Dec 7th, we hope to arrive in time for the amazing Bermuda Christmas Walkabout in St George, one of our favorite Christmas events with local artists performing on stage and many of the finest local homes open for visitors with delightful appetizers served! It’s an amazing party! On Dec 8th or 9th we typically leave for the 5-6 day trip to St Thomas. 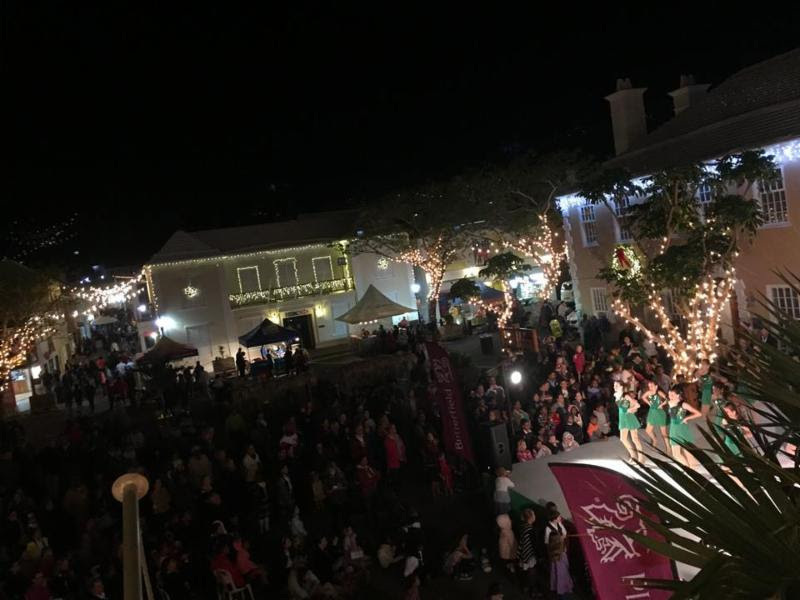 The 2016 Bermuda Christmas Walkabout!